Start Medical Hair Loss Treatments before or after Hair Transplant Surgery? I’m a male with Norwood IV hair loss. I’ve been using 2% minoxidil for 2 years with good results but recently quit in favor of some natural hair loss remedies that aren’t working well. I’m considering hair transplant surgery but need advice on the course of action. My first option is to start using 5% minoxidil and do a hair transplant after 6 months in hopes that I’ll need fewer grafts by that time. My second option is to do the hair transplant first. If I go for the second option, do you suggest FUE or strip? Most hair transplant surgeons will advise patients to begin medically stabilizing their hair loss starting at least one year prior to surgery. As you have stated, if the patient has a good response to medical hair loss treatments, they may very well require fewer grafts. 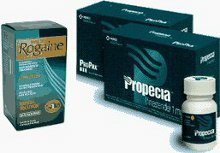 The only clinically proven and FDA approved, non-surgical treatments for hair growth are Rogaine (minoxidil) and Propecia (finasteride). Natural treatments are highly unlikely to stop balding and regrow hair. The recommended concentration of minoxidil for men is 5%. Anything less will not be as effective. There are many factors to consider when choosing between follicular unit extraction (FUE) and strip surgery. I cannot advise you on which procedure is best for you. The only way to determine that is to consult with one or more quality hair restoration physicians. I suggest viewing our interactive map to find the pre-screened surgeons in your area.